OverviewStreet Fighter Anniversary Collection combines SFIII: 3rd Strike and Hyper Street Fighter II: Anniversary Edition onto one disc. 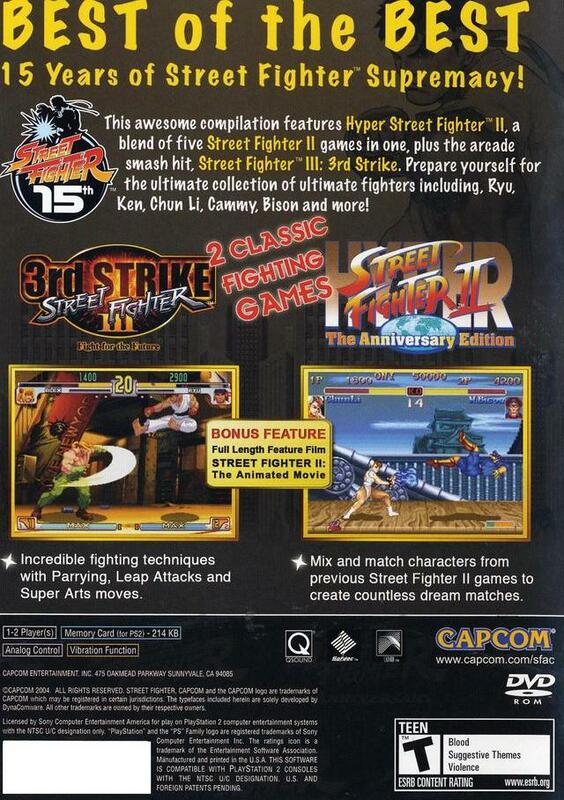 Street Fighter Anniversary Collection is a bundle of Hyper Street Fighter II and Street Fighter III 3rd Strike. Hyper Street Fighter II allows players to select versions of characters from all previous installations of Street Fighter II and CPS, CPS II, and arranged soundtracks are available to choose from. Street Fighter III 3rd Strike is more or less just a port of the Dreamcast version. Now you can add videos, screenshots, or other images (cover scans, disc scans, etc.) 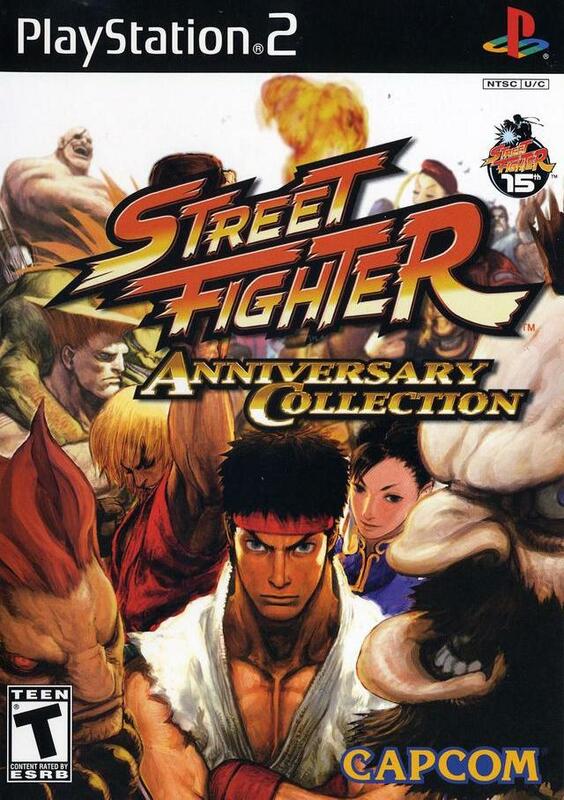 for Street Fighter Anniversary Collection (USA) to Emuparadise. Do it now!